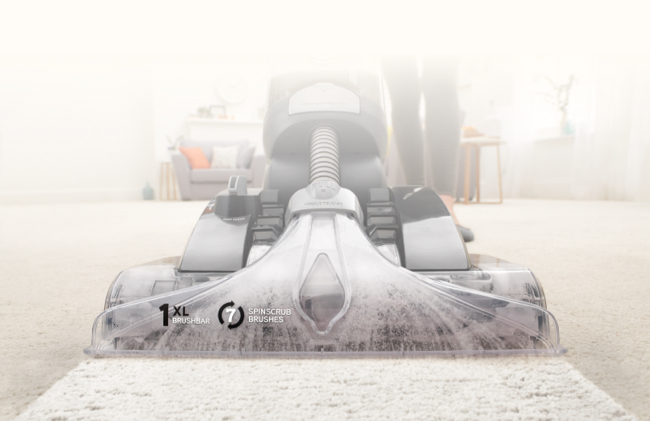 Even if you are short on time, with Vax’s quick dry technology in the Platinum Power Max, your carpets can be dry in just one hour, leaving your carpets clean, dry and smelling fresh. To avoid an accidental spill becoming a stain, deal with it straight away. Your carpet cleaner will be able to collect most of the liquid before it soaks in. If your carpet cleaner isn’t immediately at hand, place some sheets of kitchen roll on top of the spill to soak up as much as possible. Resist the temptation to rub! This will drive the liquid further into carpet. Clear the area you want to clean of loose items which would stop your progress, so you can navigate quickly and easily around your home. 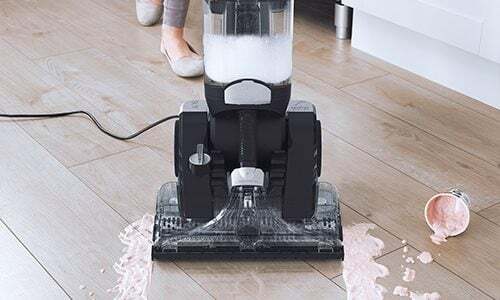 Vacuuming up any surface debris before you wash your carpets will make the job much easier and will help to prevent your carpet washer from getting clogged. Vax Carpet Cleaning solutions are specially-formulated to not produce excessive foam, which can block your cleaner, or leave any sticky residues on your carpet, which can attract more dirt. 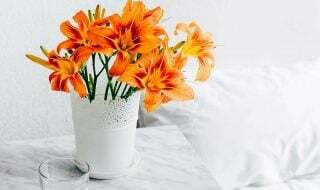 Our range of solutions are designed to tackle high-traffic areas, be kind to allergy sufferers or remove pet odours. Vax Platinum is our best performing carpet cleaning solution to deep clean your carpets and remove tough stubborn stains. Including Carpetguard protection to leave your carpets fresher for longer. If your carpets contain wool, look out for the ‘Woolsafe approved’ logo on the bottle to give extra peace of mind. All Vax Carpet Cleaner solutions are Woolsafe approved and suitable for delicate carpets. 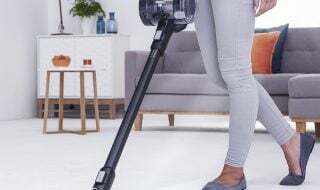 If you’ve never washed your carpets before or are using a new carpet cleaner or solution, it’s always best to try your carpet cleaner in a small, inconspicuous area first, just to check the unlikely possibility of the colour fastness of the carpet being affected by the solution or the carpet cleaner. Your carpet manufacturer or supplier should be able to help advise on this too. For the best results on carpets that are deeply-stained, haven’t been cleaned previously or simply need some extra TLC, try applying a pre-treatment cleaning solution before you begin general carpet cleaning. The Vax Platinum Power Max has a dedicated Pre-treatment wand attachment which, when combined with Vax pre-treatment solution will produce a fine spray to apply to a mark or stain. Leave for 15 minutes and continue with cleaning your carpets as normal. Remember to check and follow the instructions on the solution bottle as other makes may vary. When starting carpet cleaning, begin in the corner furthest away from the door and work back towards the door. That way you won’t be walking on damp carpet! For the most thorough clean, use parallel strokes with your carpet cleaner, allowing a small overlap to help prevent streaking. Push your carpet cleaner at about half the speed you would push an upright vacuum. This will give more time for the rotating brushbar in Vax Carpet Cleaners to agitate the carpet fibres, providing deep down cleaning. If you clean to the point of soaking your carpet, it will take longer to dry but be no cleaner afterwards. To avoid getting your carpet too saturated, use more ‘dry’ strokes (pulling back with the trigger released) than wet strokes, and finish with steady dry strokes, until hardly any water is being sucked up. If you have a carpet cleaner with a ‘rinse mode’ such as the Vax Platinum Power Max or Vax Rapid Power Advance, use this after washing with solution to remove any residue from the carpet, before allowing to dry normally. If you want your stairs and upholstery to look just as clean as your carpets, choose a carpet cleaner with a hose and wash tool included. This will give you equally as great results on sofas, upholstered chairs, carpeted stairs and car interiors. All Vax Carpet Cleaners come with a stretch hose and wash tool. The most stubborn stains and high-traffic areas, such as doorways, landings and hallways are best tackled using the hose and wash tool, as this gives a more concentrated cleaning effect. Pre-treat these areas if possible and then use the wash tool to scrub and break-down the dirt. Oily stains may require more than a single application of pre-treatment solution, as these are very stubborn amongst carpet fibres. To speed up the time it takes your carpets to dry even further, leave doors and windows open during the summer months, or turn on the heating on a low setting in the winter. If you’ve been careful not to over-soak your carpets, they should be dry within the hour. Using your carpet cleaner every 6-8 months will not only leave your carpets looking clean and smelling fresh, but it will prolong its life and help to avoid the expensive costs of carpet replacement. Even if you vacuum every day, to keep your carpet looking at its best you still need to wash it regularly. 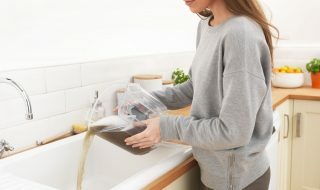 That’s because a surprisingly large amount of dirt gets trapped between the fibres and can’t be sucked away by your regular vacuum cleaner. Regular washing will prevent this happening, making your carpet look newer for longer and saving you money long-term! This entry was posted in FLOORS and tagged carpet, carpet cleaning, carpet washing, floors. Bookmark the permalink.